Investing in the community means providing resources, skills, and support to those at the frontline of the HIV epidemic. It also acknowledges the unique barriers to care that many communities in the South experience. The community investments provided by the COMPASS Initiative® will focus on addressing these barriers by increasing organizational capacity, building awareness, reducing HIV-related stigma, advancing education, sharing knowledge, and promoting the wellbeing of individuals through mental health services and trauma-informed care. This training focuses on building organizational capacity and increasing shared knowledge among HIV/AIDS-serving community-based organizations. Available capacity building trainings include: Governance and Leadership, Mission, Values, & Strategy, Finance and Administration, Resource Development, Strategic Relationships and Coalition Building, Communications, Internal Management and Operations, and Service Delivery and Impact. You must be a non-profit organization in the 9 Deep South States (AL, FL, GA, MS, LA, NC, SC, TN, TX) AND meet at least one (1) of the following: 1) Is an AIDS Service Organization (ASO) OR 2) Is a community-based organization that prioritizes HIV/AIDS prevention or care services, OR 3) Is a community-based organization with a substantial budgetary investment in HIV-related programming to apply for Capacity Building trainings. These trainings focus on the role of mental health, trauma-informed care, harm reduction, legislative advocacy, and healing justice in the HIV epidemic, as well as substance use and the opioid epidemic (especially harm reduction). Standard and specified options are available. These trainings emphasize the need for HIV awareness, stigma reduction, and culturally appropriate care in our effort to address the epidemic in the Southern United States. Training topics include Undoing Racism, Stigma & HIV, Cultural Competence & Humility, and Addressing Employment Needs & Maximizing Opportunities for People Living with/or at Greater Vulnerability to HIV. 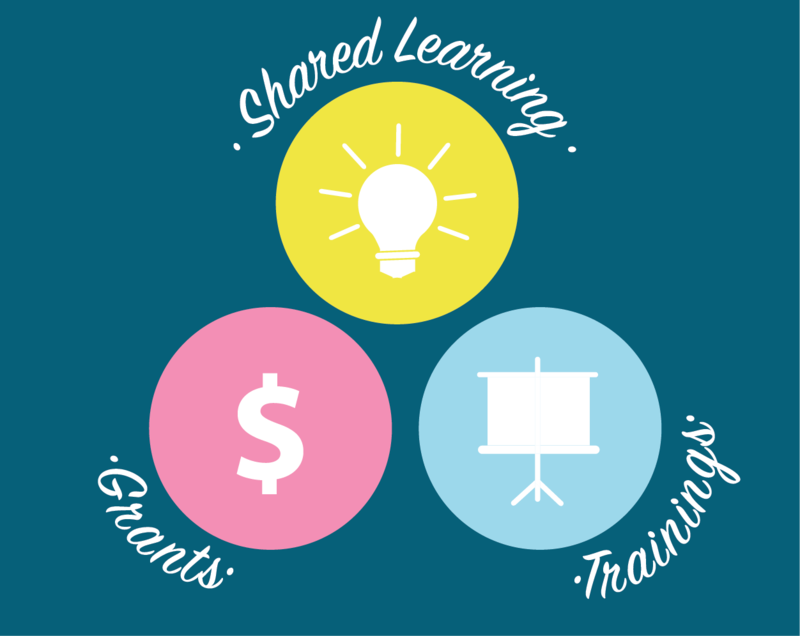 These grants provide funding support, up to $4,500 per organization, for a variety of organizational and staff resources, including technology and software, meeting space costs, conference attendance fees, professional development, and continuing education. SPARK! (Southerners Promoting Awareness and Real Knowledge) is a grant program to fund community-led grassroots campaigns across the Deep South. With this program, we are turning to you as the expert on how to promote awareness and real knowledge around HIV and AIDS in your community. Funding for SPARK! campaigns range from $2,500 to $25,000, with the amount of funding reflective of the scope of the campaign and cost of planned media platforms. Applications will open for the next cohort in Fall 2019. Eligible organizations for Cohort 1 MUST reside in the 9 Deep South states (AL, FL, GA, MS, LA, NC, SC, TN, TX). The PoWER (Partners Working for Enhanced Results) Institute is the the Emory University Rollins School of Public Health Coordinating Center’s most intensive strategy for assisting organizations with transforming organizational practice, improving systems and operations, and ensuring data driven service outcomes. The PoWER Institute consists of six (6) monthly sessions with all participating organizations followed by three (3) months of individualized coaching for each organization with an assigned capacity building coach who is experienced in organizational development practice. Organizations will receive a travel stipend to assist with getting to the in person sessions, and lodging & meals will be covered by Emory. Those that are selected to participate in PoWER will be required, without exception, to participate in the following events at the scheduled dates, times, and location - as well as in the event that dates or location change. If you are NOT able to comply with this requirement, please do NOT submit an application for consideration in PoWER. For more detailed information click here. Applications received AFTER 11:59 EST on March 15, 2019 WILL NOT BE REVIEWED or CONSIDERED for participation. LEAD (Leadership, Education, and Advocacy Development) Academy: LEAD Academy is a retreat-style health promotion intervention (spanning 2 nights and 2.5 daysperhaps specify number of days) designed to combat HIV-related stigma by training PLHIV to be leaders, educators, and advocates in their communities. Younity Workshop is a two-session group-level intervention that teaches PLHIV techniques and skills to reduce internalized HIV-related stigma. Younity Workshop is most appropriate for PLHIV who are newly diagnosed or who are struggling to accept their HIV diagnosis. For more detailed information click here. Applications received AFTER 11:59 EST on March 6, 2019 WILL NOT BE REVIEWED or CONSIDERED for participation. Leading with Education, Advocacy & Resistance with our Neighbors (LEARN) is the SUSTAIN Wellbeing COMPASS Coordinating Center’s most intensive strategy for supporting organizations with transforming organizational practice with the goal to build knowledge, capacity and expertise in a particular topic. Each cohort of LEARN will be centered on a different content area, with the first cohort of LEARN focusing on harm reduction-related philosophy and service delivery. Participating organizations must demonstrate a commitment to embodying and implementing harm reduction philosophy and practices in their organizations, and possess the foundational leadership and infrastructure to lead and support associated organizational changes. Four to six organizations will be selected for each cohort. For more detailed instructions, click here. Applications received AFTER 11:59 EST on March 15, 2019 WILL NOT BE REVIEWED or CONSIDERED for participation. you can contact us at info@gileadcompass.com.